Computers have become a part of our everyday life. Be it at office or at home we can hardly imagine our lives without them. So any break down in the computers we use regularly can put us in great difficulty. So smooth functioning of them for all of us is always high priority for all of us. Being in the business of computer repairs andmaintenance since long, we at Matrix Infosys can fully understand the requirement of what we offer. We therefore try to execute the same to the best of our abilities. In this blog we would discuss the importance of regular computer maintenance, be it a Laptop or a desktop. Why regular Computer maintenance is so important? Computers work well when they are taken care of. You buy the best computers in the world, but without proper maintenance they would not function smoothly. Often regular maintenance can help to detect minor problems. These if ignored can often lead to major breakdown. Any major breakdown may lead to heavy repairing work and replacement of expensive spare parts. Thus this cost you a heavy amount. Apart from this any major repair to your computer system may mean that your regular business gets impacted. Thus instead of having to put up with all of this, it is best to have regular maintenance done to prevent any major cost. It is true that many developments are happening in the world of internet. But along with that computer viruses and malware are ever evolving which threaten the security of your computer systems as well. In such a dynamic scenario you need not only the best antivirus but also computer maintenance which can detect the presence of such viruses and malware as well. These can provide you with the requisite protection in the age of cut throat competition which is extremely important. As computers get used , gradually with time temporary files start getting generated in them. This makes the processing of your computer system slow. Often programs as a result might get delayed. This can hinder your regular work and can affect the performance of your business in the long run. Regular computer maintenance can prevent this problem and can help in smoother functioning of your business. With increasing competition and increasing threats to your computer system from the internet the need to keep the antivirus always up to date all the time to provide protection against the latest virus and malware is becoming all the more essential. Generally computer maintenance includes the all important job of keeping the antivirus updated. Thus with it your computer system can stay protected from the latest threats of virus and malware. If the computer is not maintained properly then it can mean that they become slow. Thus the performance of the installed software also gets adversely and may not perform to the desired level. Thus this may also affect the overall productivity of the job undertaken. In order to prevent this from happening the maintenance of your computer becomes very essential. In conclusion we can see that proper maintenance of your computer is extremely important. 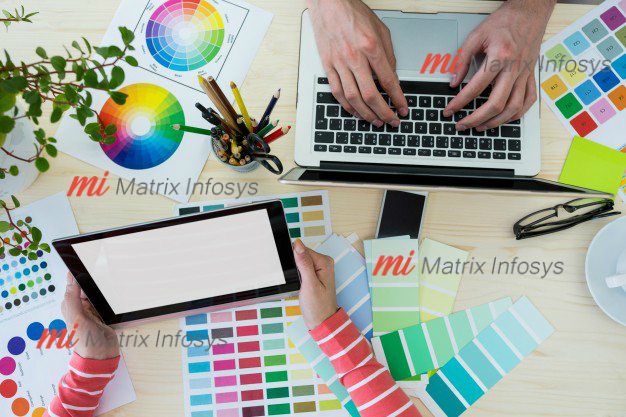 If you are requiring any type of computer repairing or regular maintenance then you must avail it in Kolkata from Matrix Infosys. To know more about our services please visit our website. Interesting post. Thank you for sharing !!! The globalization has led industries to bring up their latest technologies for this it is important to have some knowledge and idea about the online services on internet because due to these facts the web services has gained fame. please guide me to improve my website. Thanks for the post, You can visit asus tech support if you having some problem with your computer.